City Wide Construction is the best company you can hire for all your home exterior and interior needs. Masonry is one of their best many services offered. A company with outstanding workmanship and professionalism. 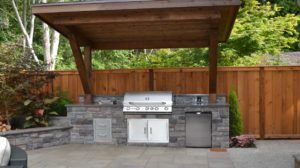 Here they have built an outdoor kitchen with the stylish design desired by most homeowners. A well built kitchen, built for many years of outdoor entertaining. Having City Wide Construction by your side for all your home renovation needs is simply having the best of the best doing the work for you. Renovations done by City Wide Construction is work done to complete satisfaction. 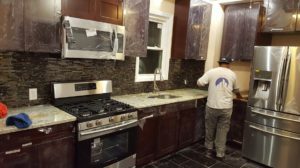 Licensed and Insured with over a decade of experience in all phases of construction, City Wide Construction is very skilled, dedicated and highly professional on all their jobs performed. Here City Wide Construction completed another project of stucco on the second floor, installation of brick on the first floor, new roof installation with gutters and gutter leaders. 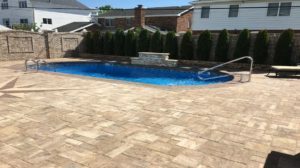 Pavers was done at the front and back of this home located in Queens.